The Rhinos 3-1 win over Vancouver on Saturday - This team needs to play like they did in the second half on a consistent basis. 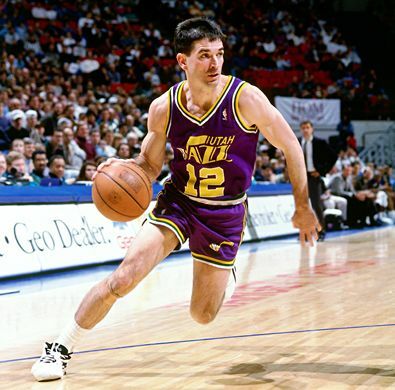 Ross Smith's debut as a Rhino - Outside of the John Stockton-esque short shorts, I liked what I saw. This team needs more guys that attack 50-50 balls with the reckless abandon that Smith does. Devo's article on Calloway's first public statements since getting let go - I'll rip the old Chris Rock line of "I'm not saying he should have done it, but I understand". Jeff had to write the quotes that Laurie gave him. And it's obvious from Laurie's interview on Kick This! on Saturday that he didn't intend for the slant of the story to be what it was (And for the record, Jeff does not write the headlines). But what I loved about Laurie in dealing with him on the show was his brutal honesty. He wasn't afraid to tell you how he feels. And personally, that is a good trait to have and not a negative one. A look at today's USL 1st Division standings - On the bright side, the Rhinos are currently 6th in the league in goal differential and 9th in points per game played. If they are to make the playoffs, they are going to have to make hay with the four games in hand over Miami, the three games in hand over Portland, and the one game in hand over Carolina. - Here's hoping that the fact that Seattle has to go from the East Coast (at Charleston last Friday night) to the West Coast (home tomorrow versus Kansas City in the Open Cup) and back to the East Coast for Friday's game at PAETEC Park slows the Sounders down. - LA and Chivas USA are tied for first in the Western Conference?!?!?!? That will make Thursday's edition of the Super Clasico perhaps the most meaningful edition so far. And if you want to set the TiVo, the game will be on ESPN2 starting at 11pm EST. - Abby's still sitting on 99 career USWNT goals after the USWNT defeated Sweden 1-0 on Saturday thanks to Carli Lloyd and her mask. - Brad Friedel could be headed to Man City, even if Ronaldinho might not. - Are the Borgetti and Bautista to MLS rumors really newsworthy at this point? - I'm not a big Blanco fan, but this story is pretty cool. Heck, a feel good story with an MLS player at the center of it getting a big chunk of air time on SportsCenter. There is no downside to that! - Even though it was a hot afternoon, it was fun to see the Rhinos Women defeat London at home yesterday. Joy McKenzie came up huge on a boatload of occasions and they got just enough offense to get the result.